Jason Bateman has announced that Netflix's acclaimed drama series Ozark has been renewed for a third season. Season 3 will consist of ten episodes and will see the return of Chris Mundy as executive producer and showrunner. Season 1 premiered in August of 2017 and received positive reviews, which led to a second season being announced shortly thereafter. However, the second season was met with mostly mixed reviews from critics and fans of the show. Ozark follows the story of Marty Byrde and his family as they navigate the dirty waters of life within a dangerous drug cartel. During the second season, Del is out and the crime syndicate sends their ruthless attorney to town to shake things up just. Things were finally beginning to settle in for the Byrde family. Marty and Wendy struggle to balance their family interests amid the escalating dangers presented by their partnerships with the power-hungry Snells, the cartel and their new deputy, Ruth Langmore, whose father Cade has been released from prison. The stakes are even higher than before and The Byrdes soon realize they have to go all in before they can get out. Season 2 of Ozark has been criticized for being a bit dull and monotonous, so hopefully Season 3 starts to pick the pace. Even though it was not as well-received, the sophomore season was one of Netflix's most-streamed shows, which is exactly why it was more than likely an easy decision to bring the show back. Jason Bateman made the big announcement on Twitter by saying, "I'm happy for me, but concerned for Marty - it's official Ozark 3 is on its way." 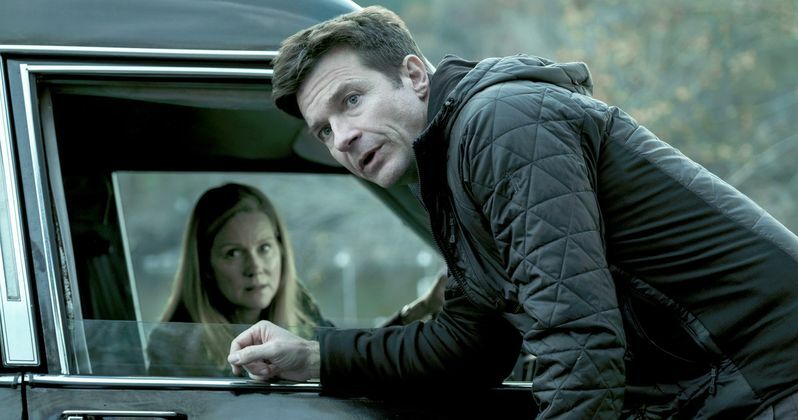 Ozark features Jason Bateman as financial planner Marty Byrde, while Laura Linney portrays his wife Wendy Byrde, a PR consultant on political campaigns, who later became a homemaker. The family had to move out of Chicago to the Ozarks after a money laundering scheme went bad. Bateman's Marty Byrde has to make everything right with a Mexican drug cartel, which results in him creating an even bigger money laundering set up. The whole thing throws the family into a situation that they never intended on seeing. Jason Bateman directed multiple episodes of Ozark Season 1 and Season 2, in addition to serving as an executive producer. Chris Mundy executive produced and wrote for the series. No official premiere date has been given for Season 3, but it is believed that it will come out in July or August of next year, if it follows the same schedule as the previous two seasons. In addition to Bateman and Laura Linney, the show also stars Sofia Hublitz, Skylar Gaertner, Julia Garner, Jordana Spiro, Jason Butler Harner, Esai Morales, Peter Mullan, Lisa Emery, and Charlie Tahan. There's going to be a lot of changes going on for the Byrde family in the upcoming season three of Ozark. You can check out the announcement for Season 3 below, thanks to Jason Bateman's Twitter account.